Visitors to Tayvallich will have the chance to see some of Argyll’s top artworks for free when the village’s acclaimed artists open their studios to the public later this month. The settlement sits among some of Scotland’s most beautiful scenery, so it is no wonder creativity flows through the area – and now, as part of the Artmap Argyll project, visitors can tour the local studios and meet the artists who work there. 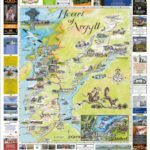 The project’s open studios event will run throughout Argyll from August 24-27, before reopening on September 1 and 2. Artists across the region are opening their studio doors, ensuring art is accessible to everyone with an interest, as well as allowing visitors to discover local talent. A small fishing village with a population of fewer than 200 people, Tayvallich is nestled cosily in a small bay on the shores of Loch Sween. The village marks an ideal place to experience truly stunning Scottish artwork, with seven of Argyll’s top artists living in the area. Painters Caroline Hunter, Libby Anderson, Caroline Plummer, Lottie Goodlet, Susan Berry, Jane Smith, and sculptor Melanie Chmielewska will all be receiving visitors at their studios around Tayvallich during the Open Studio event, giving a fascinating insight into the lives and practices of rural Scottish artists. With displays ranging from watercolours of swirling sea shores to intricately detailed stone carvings, the artwork is as diverse as it is impressive. Nicely contained within the space of approximately a mile, all seven of the local art studios can be reached easily on foot or by car. The Tayvallich Inn marks the obvious gateway to a tour of the studios. Situated at the entrance to the village, it will also showcase art from at least two of the local artists, as well as work from a number of guest artists. Not far from the Tayvallich Inn is painter Caroline Hunter’s studio. 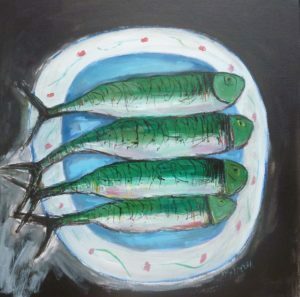 After growing up in Orkney, Caroline began painting in 1994. She won the James Torrance Prize from the Royal Glasgow Institute of the Fine Arts in 1999, just before moving to Argyll, and she has become well known for her seascapes and sill life paintings. Caroline has also painted on wooden blocks, rescuing sea wreckage from the sea shores and transforming the wood she discovers into her landscape canvases. A few hundred metres further inland sits the home and studio of Libby Anderson. A graduate of the Glasgow School of Art, portraiture has always been Libby’s first love. She pursued her passion by painting passengers’ portraits on cruise ships all around South America and the Caribbean. Libby later qualified as an art teacher and taught at secondary schools in the Lothians. She has settled in Tayvallich, where she considers the surrounding landscape and islands a ‘constant source of inspiration’. As well as her portraits, Libby has also painted landscapes in both oil and watercolour – including some vibrant seascapes. Another artist now based in Tayvallich, Caroline Plummer was born in Poland and still paints under her maiden name Wytrazek. She particularly enjoys painting flowers and has had some of her work turned into greetings cards, many of which are available from local shops. Watercolour artist Susan Berry is also drawn to the shore for inspiration. Her landscapes of brooding waters are lush with colour, as are her detailed paintings of the natural wildlife found around the coasts of Scotland. Wildlife artist Jane Smith also has a passion for capturing Scotland’s native species in her art, and she specialises in screen printing to do so. She will be demonstrating the style to visitors during the Open Studio event. Last year she was invited to work with the RSBP on Project Puffin, which aimed to learn more about puffins through sightings and feeding routines. 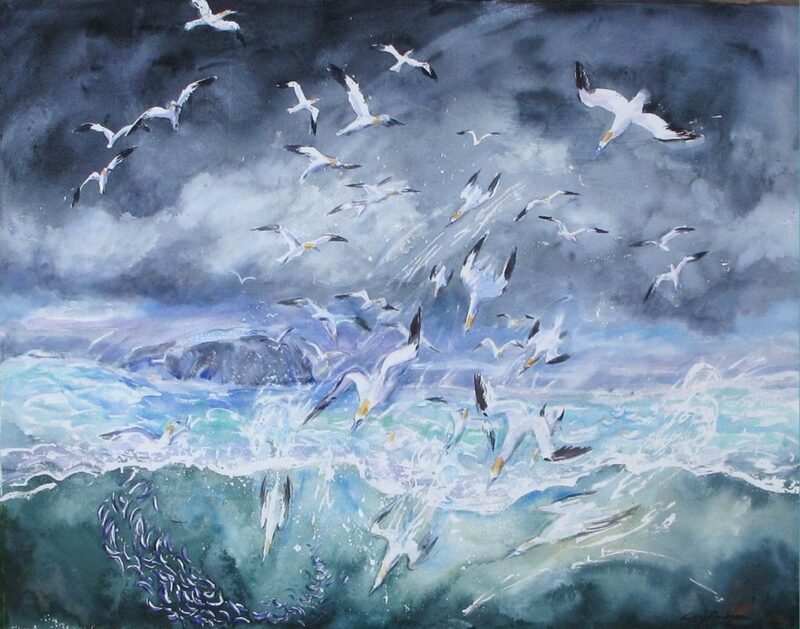 Jane made a number of paintings capturing the lives of the puffin colonies in the very north of Scotland, and has also written about her experiences. She will be selling the original artwork from her book on wildlife in the Hebrides, Wild Island. 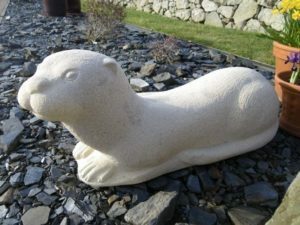 Argyll’s natural beauty has been depicted not just on canvas, but also in stone carvings courtesy of sculptor Melanie Chmielewska. After studying in England, Melanie lived in Poland before moving to Scotland in 2005. 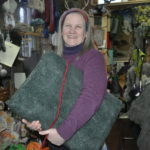 She has been a member of Artmap Argyll since 2009. Between 2007 and 2009 she was commissioned to sculpt 16 sandstone corbels for St Brandon’s Church in Durham. The corbels describe the story of the Christian life from birth through to death and eventually resurrection. Lottie Goodlet lives in Carsaig and has been swimming and snorkelling in the Sound of Jura for twenty years. 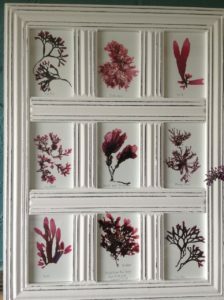 She says: ‘I am fascinated by the realm of seaweed beneath me and see it as secret and unexpected treasure with underwater kelp forests and sea meadows gracefully riding the ebb and flow of the tides and currents.